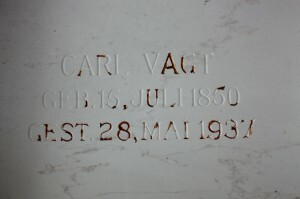 Husband of Maria Unruh Vagt, married in 1884 in Germany in the same church where they were both baptized and confirmed. Immigrated to America in 1884. The deceased, Carl Henry Theodore Vagt, was born July 15, 1850, at Camin, Province, Doberan, Mechlenburg-Schwerin, Germany. Being the child of Christian parents, he was soon after birth baptized and later educated and trained in the great fundamentals of the Christian religion, so that in the hour of his confirmation he gladly and willingly promised allegiance and loyalty to his Lord and Master. Having given two years of his young manhood to military training, he sought and found employment as coachman with a titled landowner, who soon learned to esteem him highly because of his faithful loyal service. 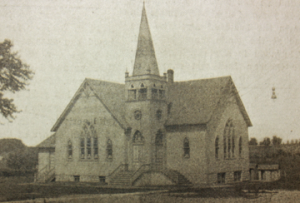 In the year 1884, he was married to Miss Mary Unruh, the ceremony being preformed in the same church in which both had been baptized and confirmed. Realizing that their homeland had little to offer for the future they, soon after their marriage immigrated to this country. After acquainting himself with the American ways of farming at Sollitt, then east of Beecher and later at Brunswick, Indiana, the young couple, about fifty years ago, made their home on a farm near Eagle Lake. Not blessed with any children, they both applied themselves diligently to their chosen work which was signally blessed by God. After eighteen years of successful farming, they made their home in Goodenow for a period of three years, after which they definitely located here in Beecher. On March 10, 1932, death summoned Mrs. Vagt to her eternal rest. Since that time the departed tried pitifully to carry on alone, but the burden of many years making itself felt, he happily accepted the gracious offer of Mr. and Mrs. August Krueger to move in with him and take care of him. This arrangement proved a veritable blessing to the departed, a blessing which he deeply appreciated and which flooded his declining years with the peace and quiet of a beautiful sunset. Being relieved of all cares and worries and surrounded by loving attention and care, he enjoyed life as never before and no doubt desired to have it continued. However, a week ago, those who were so tenderly taking care of him and the doctor attending him knew the his earthly pilgrimage was fast coming to an end. This end, which he himself realized was near and for which he prepared himself, came peacefully, Friday, May 28, at 7:30 a.m. at the ripe age of 86 years, 10 months and 13 days. He is survived in this country by one nephew, Fred Vagt, of Grant Park; two nieces, Rose, Mrs. Albert Kurth, and Mary, Mrs. Fred Eckhoff, of Grant Park; besides one nephew and two nieces in Germany; also a number of friends here and abroad. Funeral services took place, Sunday, May 30, beginning at 2 o’clock at the home, and at 2:15 at St. Luke’s Church, where his pastor, Rev. G Horst, spoke fittingly in both there German and English languages. 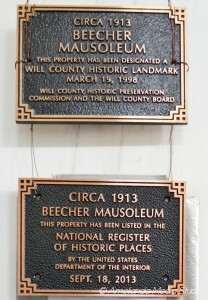 His body was laid to rest in the Beecher Mausoleum. The departed, known for may years in this community, lived a more or less detached life, especially in his declining years. His life nevertheless, was ever one above reproach as he proved himself at all times honest, upright and ever ready to uphold his deep interest in the church and its work. 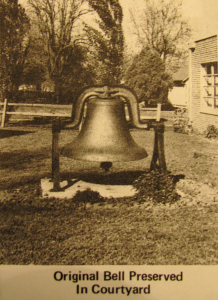 he also showed his interest in the church by carrying himself with a desire of presenting a new bell to St. Luke’s Church, where he worshipped during the last twelve years. Living ever true to the inner light of his religious understanding and training he, no doubt, entered into the rest and peace promised those who are true to their faith.